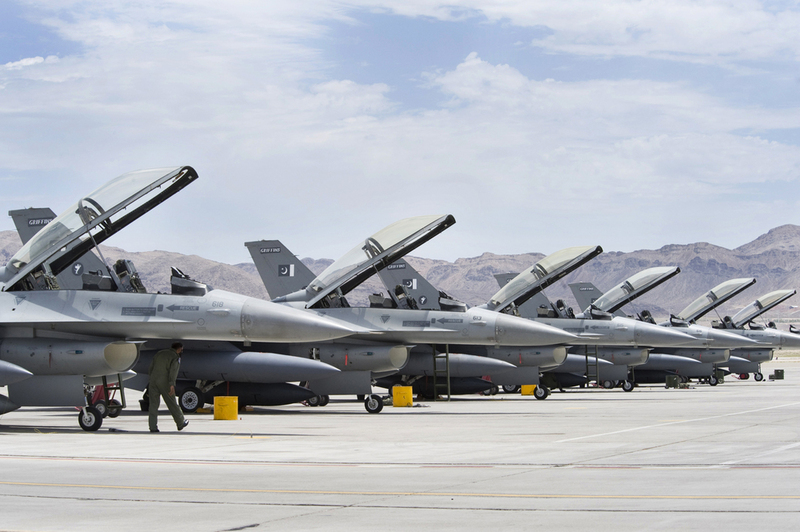 In February, the State Department approved a possible Foreign Military Sale to Pakistan for eight F-16 Block 52 aircraft as well as associated equipment, training, and logistic support. Two of these fighters are F-16Cs and six are F-16Ds. The State Department estimated the sale to be worth $699 million. The U.S. Congress has been very skeptical of the contract, particularly over concerns that Pakistan is not doing enough to combat militant groups. Many U.S. lawmakers were worried that Islamabad intends primarily for these new F-16s to be focused on India, rather than military operations against militants. Though the F-16 deal survived efforts by some in the U.S. Senate to block it earlier in the year, on May 3, State Department Spokesman John Kirby noted to reporters that the United States has informed the Pakistani government that U.S. financial assistance could not be utilized for the proposed F-16 deal. In an indication of the F-16 deal’s likely collapse, the Pakistani Prime Minister’s Foreign Affairs Adviser Sartaj Aziz responded to the U.S. decision by saying, "If funding is arranged, Pakistan will get the F-16s, otherwise we will opt for jets from some other place." The Pakistani Air Force’s budget totals PKR164 billion ($1.55 billion), meaning that the service would have trouble budgeting the cost for the acquisition, particularly as it was expecting to pay less than 40 percent of the estimated total cost. The Air Force initially planned to spend around $270 million on the F-16s, with the difference coming out of U.S. Foreign Military Financing. Should the F-16 sale fall through, as appears to be likely barring a shift in positions, it is possible that Pakistan may seek additional procurement of JF-17s instead. Aziz did not specify what type of fighter jet Pakistan would procure, but did note that the JF-17 – jointly produced with China – could replace the eight F-16s. The country’s military industry can produce 16 JF-17s per year, with aims to increase that to 24 per year in 2016 (Pakistani officials assert that the military industry has the capacity for 25 per year). Pakistan is currently domestically manufacturing the Block II version, with a batch of 16 coming last month. These, together with deliveries of up to 110 JF-17s from China, are replacing the Air Force’s older aircraft, namely the Mirage III, Mirage V, and F-7P fleets. Together with China, Pakistan has continued to further develop the JF-17 program. Late last month, the two countries launched production of a prototype JF-17B fighter, which features dual seats. The JF-17B will make its maiden flight before the end of 2016, and potentially enter service as early as April 2017. In addition to procuring the single seat Block IIs to fill the role of the F-16Cs, the JF-17Bs could fill the role of the two seat F-16Ds. While the JF-17s will be sufficient for counterinsurgency duties (alongside the Air Force's current F-16s and fleets of older aircraft), they are relatively untested in air-to-air duties against other fighter jets, namely those belonging to Pakistan's rival, India. The F-16 by contrast has a far greater operational history. The eight F-16s certainly would not have tipped the military balance between Pakistan and India in Islamabad's favor, but they would have provided for Pakistan greater assurances of both its own operational capabilities and, more generally, Washington's support.